Michelin stars. TV stars. Rising stars. 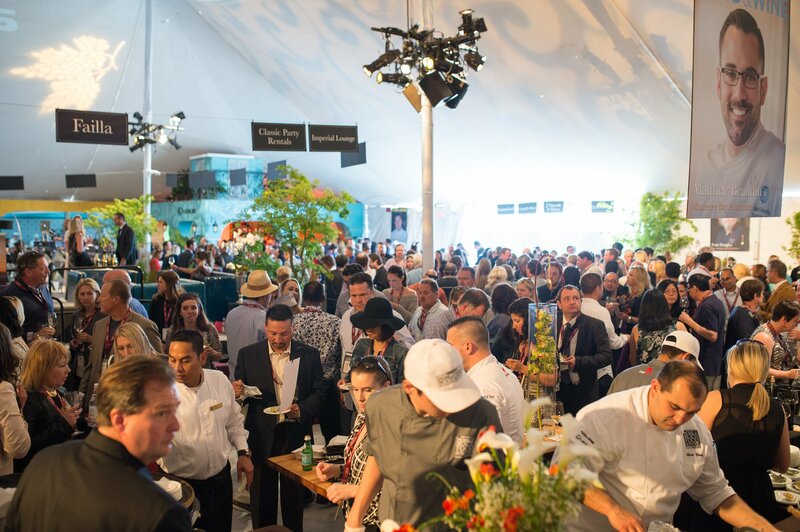 The stars of the culinary world have all aligned for this very special edition of Pebble Beach Food and Wine during our Centennial year. 2. THIS IS THE ALL-STAR GAME OF THE FOOD WORLD. Game-changers include California cuisine founding father Jeremiah Tower, Hawaiian-fusion innovator Roy Yamaguchi, Misiòn 19’s Javier Plascencia, Ludo Bites’ Ludo Lefebvre, Morimoto’s Masaharu Morimoto, Chef’s Table Argentinean grill master Francis Mallmann, DAMA’s Antonia Lofaso, Michelle Bernstein of Miami’s Café La Trova and Top Chef All-Stars champion Richard Blais. 3. THERE’S MORE TO DRINK THAN JUST WINE. You’ll find the best wines in the world this weekend, including first-growth Bordeaux, Grand Cru Burgundies and elite Champagnes. There will be wine tastings (blindfold optional), wine seminars (from Righteous Rieslings to Kosta Browne), wine pairings and wine dinners. But be on the lookout for bloody Mary aficionado Diane Mina (wife of celebrity chef Michael Mina), three-Michelin starred chef Grant Achatz attacking cocktails, whiskey authority Dan Dunn spilling his knowledge, plus many more spirited events. 4. YOU CAN LINE UP YOUR NEXT FEW LOCAL DATE NIGHTS. This year you can sample a record 35 local chefs, including a divine nine from Pebble Beach Resorts: Anna Marie Bayonito (STICKS); Benjamin Brown (Executive Chef, The Lodge at Pebble Beach), Alfredo Cortez (The Tap Room), Gilberto Galves (Banquets, The Inn at Spanish Bay), Elias Lopez (The Beach & Tennis Club), Pablo Mellin (Roy’s), Alex Ramirez (Stillwater), Angela Tamura (Pèppoli) and Rodney Uncangco (Executive Chef, The Inn at Spanish Bay). Outside the forest, the local roster stars Todd Fisher (Folktale Winery), Cal Stamenov (Lucia at Bernardus), Emanuele Bartolini (La Balena), Michelle Lee (The C), Paul Corsentino (Salt Wood) and Michelle Estigoy (Cultura). 5. 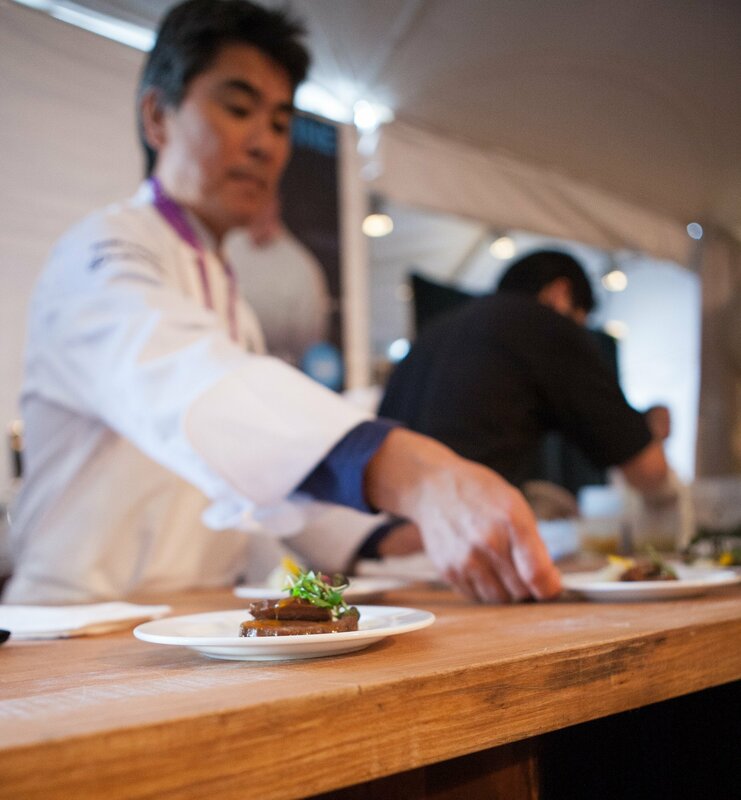 IF YOU CAN ONLY ATTEND ONE EVENT, GET YOUR HANDS ON TICKETS TO THE LEXUS GRAND TASTING. The flagship event runs from noon to 3 p.m. on Saturday, with an encore edition the same time Sunday that features a slightly different culinary cast while also doubling as a jubilant closing ceremony. 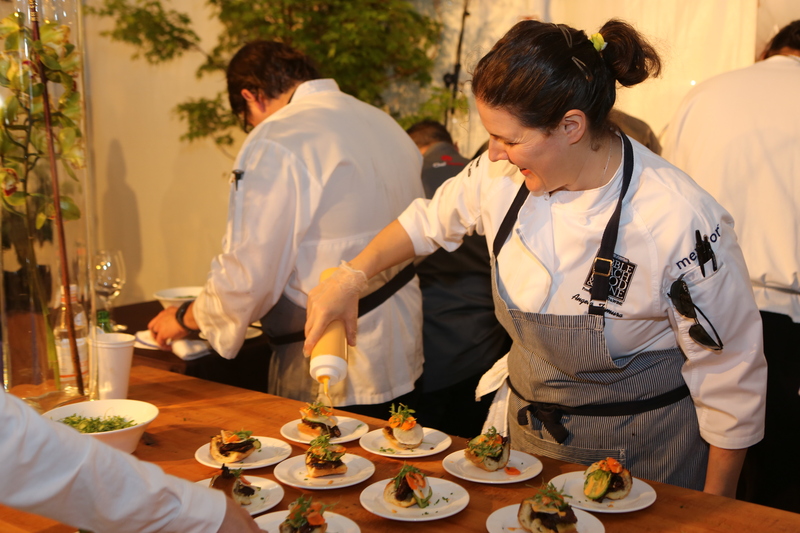 Both insanely overindulgent sessions star 25 chefs and over 300 wines. You’ll want to try everything, but this three-hour party is truly a marathon. 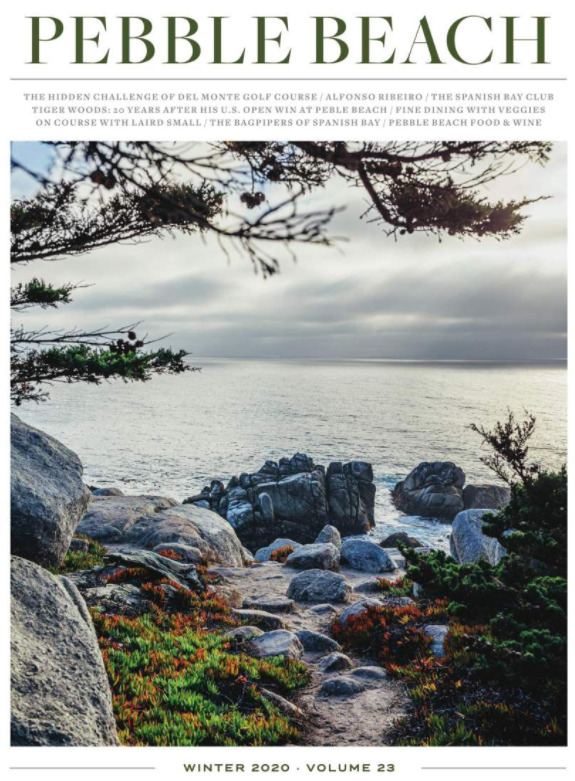 Pebble Beach Company Foundation will once again offer its annual drawing during Pebble Beach Food & Wine to support youth education programs in Monterey County. You’ll have 12 opportunities to win, including the grand prize: a “Take Me To Tuscany” trip for two. 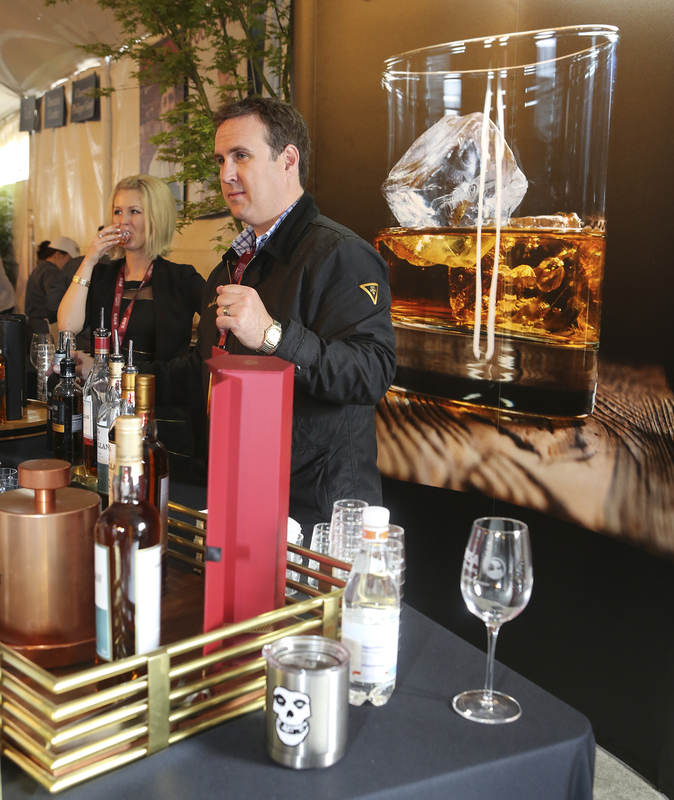 The drawing will be held Sunday at the Pebble Beach Food & Wine Grand Tasting Tent. Feed the rest of your senses with a Lexus Ride and Drive experience. Try out the all-new UX, high-performance LC, luxurious LS, ultra-refined ES or best-selling RX as a driver or passenger. Walk-ups are welcome, or you can reserve a time between 8 a.m. and 3:30 p.m. here.